When is Holi- The Colour Festival in 2019, 2020, and 2021? 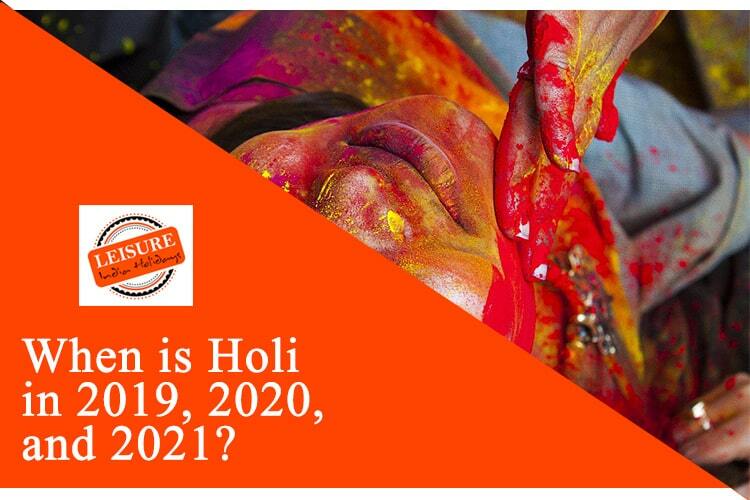 Home>Festivals>When is Holi- The Colour Festival in 2019, 2020, and 2021? Holi is one of the famous festivals of India. Holi is celebrated across the length and breadth of our India with utmost enthusiasm, love, respect, and prosperity. Holi is the festival which marks the end of spring season and inception of the summer season. 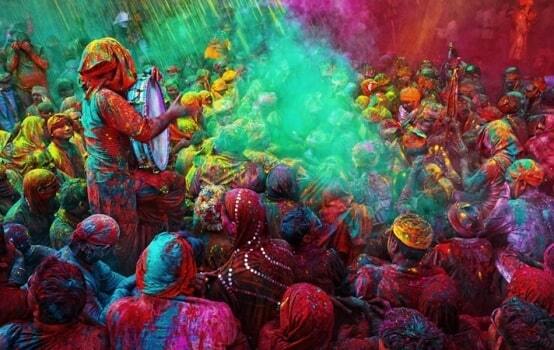 Holi is on the last full moon day of the Hindu lunisolar month in the Hindu calendar. Through this festival was earlier celebrated only in India, now it has gained its popularity all across the globe due to the spirits of love, festivity, friendship, harmony, enjoyment, happiness and family time. Here we have a short list of the three years in which you will know that when is Holi in those particular years. 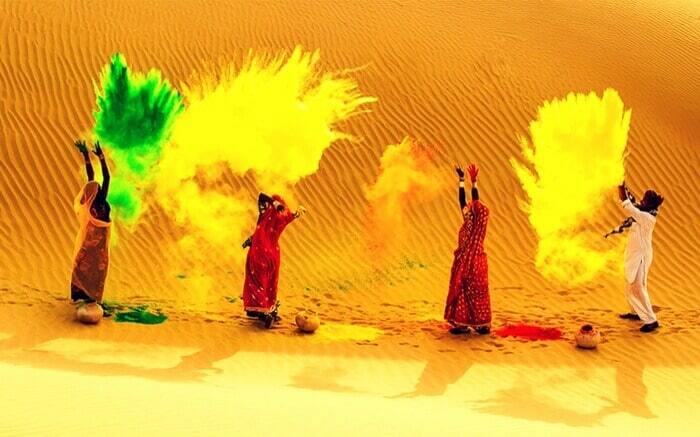 So plan your trip this year to celebrate the Holi festival in India with your friends and family. So the two-day festival is signified as Holika Dehan on the first day and Holi celebrated with the splash of water and colors on a subsequent day. Holika Dehan is performed at the stimulate time call Muhurat as per the Hindu rituals. The Muhurat is of prime importance as Holika Dahan for bringing good fortune. Holika Dahan is done during the Pradosh Kaal on the Purnima ( full moon day) Tithi. The different place has different timing of sunset so the Muhurat is decided according to location. Small pooja called ping puja is done before lighting the bonfire. This Holika Dehan is also celebrated to show gratitude to the lord for a great harvest. The second day of Holi is also called Rangpanchami, Dhunlandi, Dhuleti. On this day people gather and play with water, colors show utmost enthusiasm and zeal. The sound of happy Holi can listen all day, every person on this day filled with joy and love. Even the enemies turned into friends on this day. The startling History behind the celebration of Holi lies in a dramatic story of Hirankashyap and Prahlad and the word Holi originated from the word Holika, she was the sister of the demon king Hirankashyap. He receives a boon from the great Lord Vishnu that he will not be killed during day or night. His own son Prahlad was a great worshipper of Lord Vishnu. This made Hirankashyap angry and he tried various ways yo bring Prahalad to death. He tried various ways to kill Prahalad but could not be succeeded after this the demon king was even angrier because all his efforts went in vain. So finally Hirankashyap ordered his evil sister Holika to take Prahlad in her lap and sit in the pyre of fire. Holika was protected by a shawl. But when the fire was lit in the pile of wood, the shawl flew and covered Prahlad and he was saved. Both Hirankashyap and Holika was killed by the grace of Lord Vishnu So this brings out the victory of good over evil. The first day of Holi is called Holika Dahan or Choti Holi, this is the day when we all gather and lit the bonfire which brings the importance of good over evil spirits. To Read the complete History of Holi follow the provided link. Lathmar Holi is one of the famous types of Holi which is celebrated in Uttar Pradesh. Women hit men playful with lath and men protect themselves with dhal which is kind of shield. The story behind this type of Holi is that when Lord Krishna went to Radha’s place to play Holi with her. That time all women of the village protect Radha and bit Krishna with a lathi. 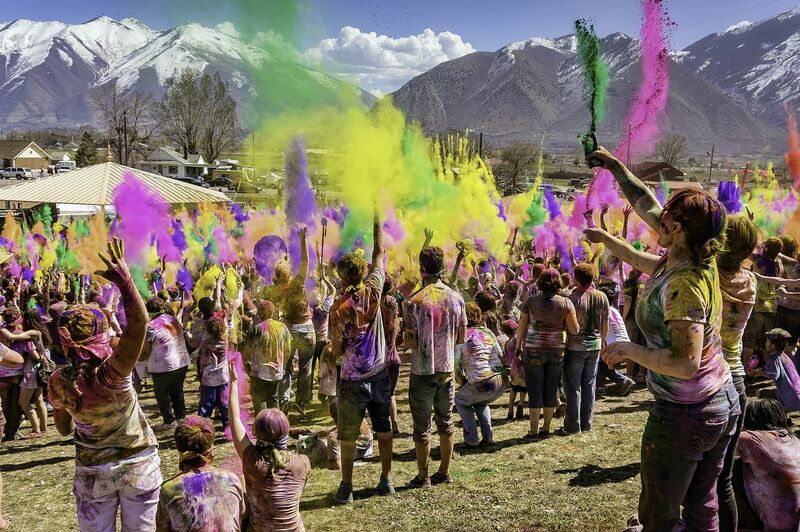 this is one of a kind Holi which is celebrated in the Kumaon region which has mainly Uttarakhand towns. In this type of Holi, people wear traditional clothes, sing local Khari songs and dance on the streets. It’s a kind of music festival with colors. Holi is Mot only famous in north India but also some south Indian cities also play Holi. There is Holi name Manjal Kuli which is celebrated in Kerala in the Konkani temple of Gosripuram Thirumala. This is a kind of Holi which you surely not want to miss. 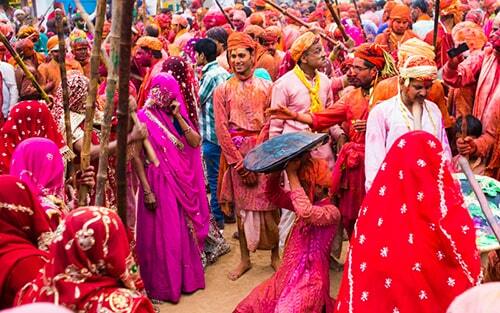 Royal Holi is celebrated in Udaipur Rajasthan by Udaipur’s Mewar royal family. This Holi is celebrated on the grand level with lots of horses and royal band. Today’s millennial generation is forgetting the importance of this festival day by day. Because everyone is busy with their careers etc and all the things revolve around the internet. But still, this festival plays a vital role in connecting people. So in 2019 let’s try to keep aside all the grudges and indulge in the festivities and Enjoy this Holi in India with your loved ones.